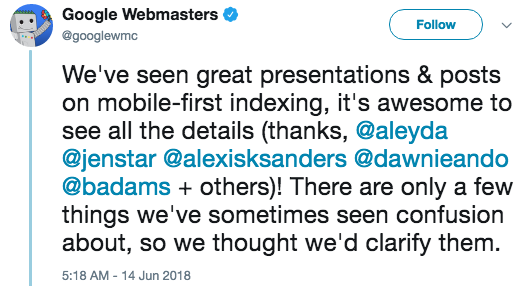 Ever since the Mobile First Index was announced and started rolling out in March, there has been so much speculation, countless blog posts, and conference presentations covering the topic. How should webmasters get ready? Will it affect rankings? Will anyone ever visit my desktop site again? Even though many of Google’s trusted representatives provided information and practical tips at conferences (i.e. John Mueller speaking at SMX Munich) there were still so many questions. With mobile first indexing, it’s the mobile version that is indexed even if it’s different from desktop. How this translates to PPC activities: make sure all campaign URLs are aligned to the mobile version of your domain if your website is serving two separate versions and, especially if, for example the marketing team is designing landing pages for mobile-based campaigns. 2. Expect to see an increased crawl rate while Google is moving you over to MFI. 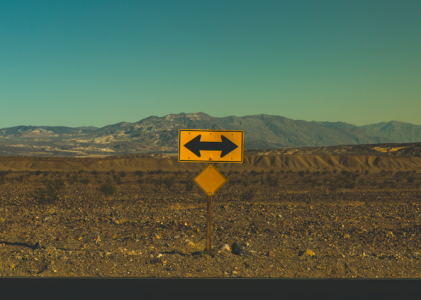 What this means for PPC activities: It may be prudent, as the campaign manager, to connect with SEO or development teams to get a sense of the timing for when the MFI will be moving through your domain. If page load times are increased due to the increased crawl, it might be wise to dial back on some heavier traffic locations to preserve budget in your top performing regions until the site speed is back to operating at peek performance. 3. Cached pages will show a 404 error. This is a bug that’s being worked on. Is there anything for PPC to know here? Not really. But it reinforces the best practice to double check links to live campaign landing pages. 4. The Mobile Speed Update in July is separate from Mobile First Indexing. How this impacts PPC activities: A majority of the online activity is happening on mobile devices. This is largely why Google has moved to prioritizing indexing mobile versions of websites first. This also places a huge importance on the speed of your mobile site. As of July, Google’s “Speed Update” is effectively prioritizing fast loading mobile friendly sites over those that (excuse the pun) are not up to speed. PPC campaign managers need to know where a majority of their traffic is coming from so that they can target ads based on device type. 5. Using collapsable interfaces like hamburger menus and accordions on mobile is OK.
How this translates into PPC activities: A good paid campaign account manager will already have data as to the kind of age and gender demographics associated with any online business flexing its paid search muscle. What’s more, household income on the business’ traffic is a key market insight. The moment you step into an Apple store you’ll quickly realize that not all mobile devices are the same size (comparing an iPhone 5 SE to the screen size of an iPhone X is apples and oranges). Again with the puns! Sorry. For PPC, this means considering the action you want visitors to take is visible on the page that loads; CTA’s should not be buried within tabs or further navigation menus. 6. Pages without a mobile version still work on mobile devices and get indexed. They just don’t look great and it’s harder for users to interact with desktop pages on a smaller screen. The takeaway for PPC: This is where the Speed Update as a ranking factor impacts which pages are quickly visible and which get pushed 3-4 thumb scrolls down the page. If pages are having trouble ranking organically, this is an opportunity for PPC to supplement traffic that would otherwise be lost due to poor organic rankings. Campaign managers should identify where to allocate extra budget until organic rankings become competitive. 7. How MFI affects rankings: having mobile-friendly pages is key. How this translates to PPC: Without a doubt, webmasters will be doing what they can to make sure their sites are mobile-friendly. That means speed, a good user experience and mobile optimization. If your current ad experience poorly impacts the user experience (loads an interstitial or too many ads on the page), it’s important to address this sooner rather than later. The thread on Twitter contains more links to documents supporting the mobile-first indexing. Be sure to follow Google Webmasters on Twitter to stay up to date. Special thanks to Marie Haynes for her incredibly insightful and comprehensive newsletter “Search News You Can Use” highlighting this topic. All screenshots by Holly Miller. Taken June 2018 from Twitter. Holly is a content strategist and digital marketer with a background in SEO. She keeps a pulse on the paid and earned industries contributing articles when she can. AdWords Call-Only Ads Come to Acquisio!